This in NOT a contest but an amazing night to perform for local audiences, network with other comics and bookers and enjoy locally produced spirits. 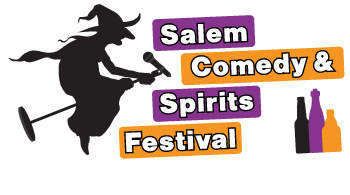 Email a video link, headshot and a short paragraph telling us why you want to be part of the Festival to: info@salemcomedyfestival.com with subject line SUBMISSION 2020. There is NO COST TO SUBMIT, but if accepted there is a $25 admin fee which includes lanyard ID and admission to all festival events . Submissions end November 30th and all who submit will be notified by December 6th. all comics who are accepted to the Festival will be scheduled within 2 weeks of submission deadline and will be given at least one night performance of a 8-12 minute set. Comics accepted are invited to attend all nights of the festival. SC&SF reserves the right to schedule comedians on nights deemed best by festival producers and venues.